Cuponk From Hasbro Games: Addictive Fun For All the Family! Cuponk is a game that's recently been making waves in the world of toys: it's great fun for both children and adults. The idea is straightforward: get your ball into the cup and make it light up. It may be simple, but it certainly isn't boring! At last there's a game that will get your children involved without them spending hours staring at a television or computer screen! Cuponk is tipped as one of the must-have 15 toys for Christmas 2010, for both boys and girls. To start the game, a player must choose a card from the Trick Deck which features 30 different tricks. The card tells you what to do and how many attempts you're allowed for that particular trick. When playing Cuponk, you'll use chairs, walls, tables, other household objects to make your tricks more elaborate. When the player performs the trick successfully, they keep that card and the next player takes a card. However, if the player fails at their trick, it's passed onto the next player who then attempts it themselves. Cuponk is in fact quite a bit more difficult than it sounds, but it won't take long for your kids to get used to it. The best thing about this game is that it's very flexible. Players can set their own rules for winning and, before you know it, your kids will be showing off their own tricks! Five blank cards are also included for custom-made tricks. The game can be played in group competitions or alone. This game is recommended for ages 9 and up, and does require batteries to play. Three Different Versions are Available. Each one has its own balls, cup, trick cards and instructions. Kids are often keen to collect all three games because each one has a different set of tricks to master. In total, that's 90 tricks, showing the huge potential of this game. You won't get bored any time soon! In Gorillanator Cuponk : the game makes a gorilla sound when the players get the ball in the cup, and also includes an extra ramp if you want it. The El Campeon version features wrestling sounds and also has a funnel. Let It R.I.P. : This version comes has killer zombie sounds. Cuponk is a fantastic kids' present choice for Christmas 2010, particularly for boys. It's the perfect way to get them away from their video games and encourage them to do something that takes a little skill. This game encourages kids to improve their hand-eye coordination, be creative, and have fun! The best thing of all? In spite of the fact that this will be one of the most wished-for gifts of 2010, Cuponk only costs $14.99, so it won't break the bank! Discover where you can buy Cuponk at a discount price, from a reputable supplier. Order soon - this is set to be one of the top toys for Christmas 2010 and is likely to sell out fast! How many little girls don't love all things Barbie? So, I'm positive that you little girl would be totally thrilled to receive the Power Wheels Barbie Ford Mustang ! The Barbie Ford Mustang couldn't be more realistic both outside and in. Outside, it has a classy looking rear spoiler and a stylish pony grill and fog lamps on the front. You will note it boasts chrome like wheels and additional chrome accents throughout. Inside, is just as impressive with it's tan coloured, adjustable, bucket style seats, Barbie pink seat belts, cup holders and a radio with equalizer lights which plays pre-recorded music for driving along to! On the dashboard it even has coloured LEDs which flash and light up when the key is pressed displaying a realistic speedometer and tachometer just like Mom's car. At the push of a button your little one can also get engine sounds for a real driving experience. The most mentioned disappointment for quite a few people is that the doors and the trunk of the Barbie Ford Mustang do not open, so there is no storage to take favourite toys on that long, exciting trip round the back yard and some shorter children may find it hard to get in. Fisher Price does state that this car is most suited for age 3 years+ but I do know of younger children who own one. Once again, as it appears to be the case with most these battery powered ride on toys traction is an issue, especially on damp or wet grass. However, one parent did suggest to me that the problem did seem to reduce with two kids in the car, the added weight obviously making the difference. The other option to this problem is to acquire rubber bands which fit around the plastic wheels, or put duck tape around the wheels - this I am advised works just as well at a fraction of the cost. The car runs on a 12 volt battery which will take approx. 8 hours to charge fully the first time, so best try to charge it before giving the Barbie Ford Mustang as a gift. Otherwise, you will have a long, miserable wait both for you and the child. For future charging there is an indicator light on the cars dashboard which indicates when the car needs "gas." For learners the car has a lock out which means the higher speed of 5mph cannot be reached unless the parents do some work under the hood. For many younger children and those just learning how to steer and control the car the lower speed of 2.5mph is certainly fast enough! Once the higher speed has been enabled the child can choose their preferred speed using the realistic shift lever. The Barbie Ford Mustang also has a reverse gear - this can take a bit more getting used to, fortunately it can only operate at the lower speed. Adjustable seats, Cup holders, Seat belts, Two forward speeds plus reverse, Pretend radio, engine sounds, Flashing equalizer lights when music plays. For parents there is a down side, this car needs to be assembled. However, the instructions are clear and whilst it can take a little I am assured by parents who have completed this before it is really not that hard. Despite the couple of niggles brought up kids seem to have a wonderful time riding round in this bright pink Barbie Ford Mustang. It gives hours of imaginative play and excitement and in the vast majority of cases is well worth the money! Want to learn more about the Barbie Ford Mustang? Go to TopKidToys.Com where you will find honest reviews on a number of ride on toys. Fin Fin Friends are the latest electronic pets created for your children. These cute and affordable fish come with their own play environment and they can be linked together for even more fun. Send your Fin Fin Friend down the slide and into the small water pool and watch them come to life with lights, sounds and plenty of fun. The MobiGo Touch Learning System was given to my son as a birthday gift on his fourth birthday by his grandparents. Amongst all the toys he received he claims that this is his favorite but then again he says the same for all his toys) He's dubbed the toy his iPhone since he has been quite taken with mine. The MobiGo Touch with its QWERTY keyboard and touch screen was definitely a good pick for my geeky 4 year old. With Squinkies Gumball Surprise Playhouse you can now bring the fun and captivation of those gumball machines that kids love to your home. The sight of gumball machines in the mall or other places can perk up any kid and personally they take me back to my own childhood days. Now you can bring your own gumball machine home with Squinkies Surprise Playhouse. Finding the right toy for the children on your shopping list can be hard and Sing-A-Ma-Jigs are the kind of toy that everyone will love. Each is a different color and sings a different song so people will be able to collect the whole set. Do you have a child in the family with creative skills? Would you like to encourage and develop these important skills? If the answer is yes you might what to consider getting them the Vtech Kidizoom Pro digital camera. Illustrations are actually the literature that is visualized as images and pictures. When cartoon or animation illustrations are considered, they are the simple images that are capable of absorbing the idea of the texts and deliver the right message in the right manner to the children. If you're a Star Wars fan this is LEGO'S Star Wars Ultimate Collector's Millennium Falcon building set that is sure to excite and please the greatest of fans. This would surely be a wow type present for any youngster for any occasion. There are always going to be some fantastic stuffed animals to choose from. 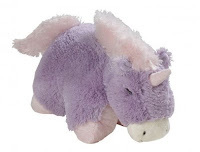 One of the best types you can purchase has to be the My Pillow Pets Brand, with My Pillow Pets Cozy Cow one of the funnest options on the market. Are you trying to find a new and unique stuffed animal that will be a very popular gift for children? If you are, I would encourage you to look at the My Pillow Pets Product line, and in particular, the My Pillow Pets Cow. Here is a brief review of that product. Are you someone who is looking for a special stuffed animal to give as a gift? If you are, one of your best options would have to be the My Pillow Pets Cow and here is why. Christmas is three months away. Has it even crossed your mind yet? It seems like every year, the Christmas jeer starts earlier and earlier. Last year, Go Go pet hamsters were amongst the list of best selling toys on the market. In 2010, we have seen a new breed of toy hamsters take over the market. These are the Special Forces and the Ninja Warriors. These fighting hamsters can now take on each other in the ultimate proving ground for hamsters - The Kung Zhu Battle Arena. In this article, we will take a look at what the Kung Zhu Battle Arena is and what it will offer users. Are you looking for a fun but unique stuffed animal idea? If you are why not a stuffed toy alligator? One of the best and most fun options available would have to be the My Pillow Pets Alligator. There are some really fun stuffed animals becoming popular this year. Have you heard about the My Pillow Pets Product line? If you haven't I would suggest reading about the My Pillow Pets Alli Alligator toy.